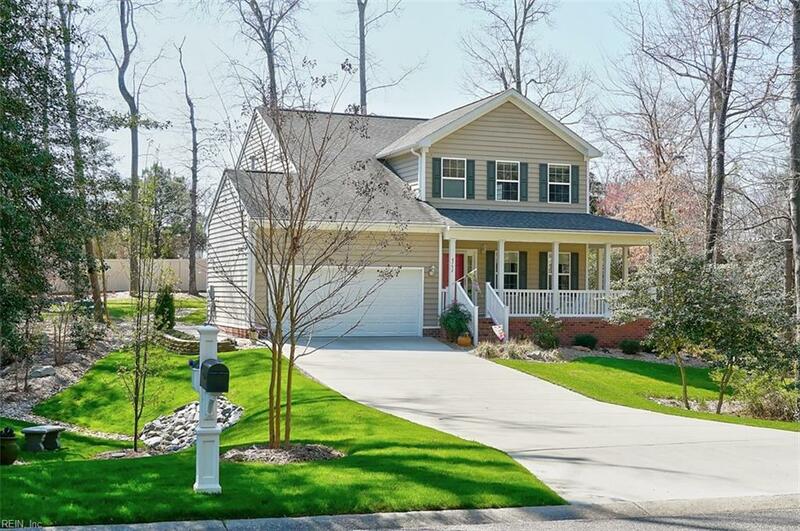 8752 Adams Dr, Suffolk, VA 23433 (#10249873) :: Abbitt Realty Co. Better than new! 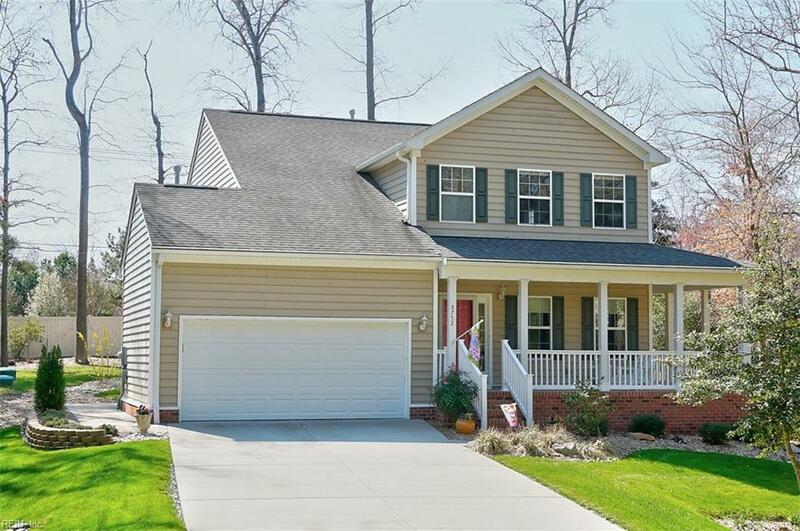 This wonderful home is move in ready with fabulous updates throughout! Gorgeous new laminate floors, custom blinds, crown molding and fresh paint. Fantastic kitchen boasts stainless steel appliances, granite countertops, new custom tile backsplash & island with seating & plenty of storage. Open floor plan with 9-foot ceilings, gas fireplace and accent wall. Master suite includes tray ceiling and 2 walk in closets. Master bath with custom tile, double vanity and soaking tub. 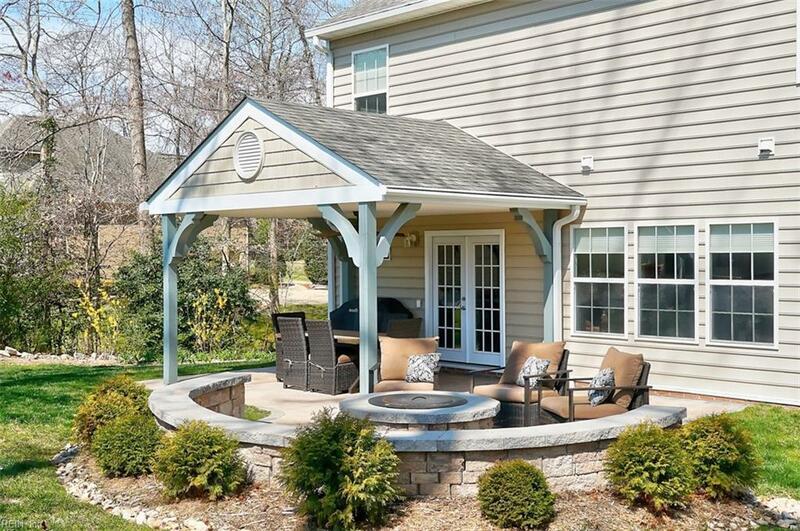 Sit back and enjoy nature on charming wrap around porch in the front. 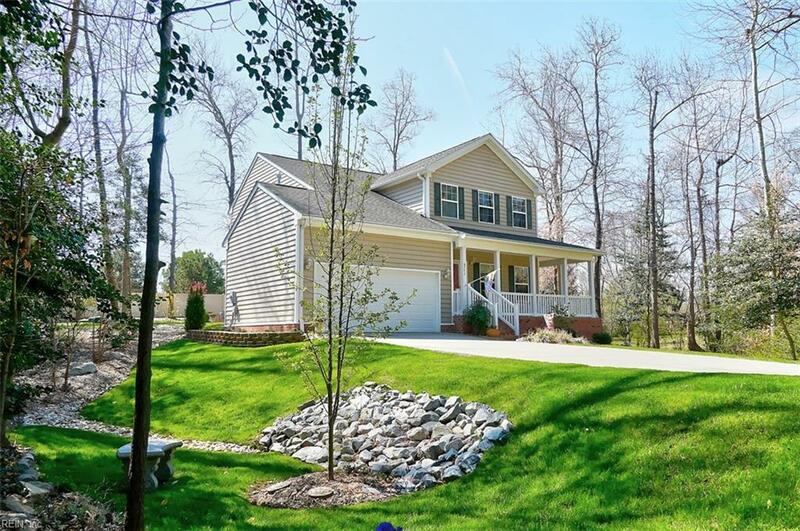 Professionally landscaped wooded lot. Backyard oasis features new covered paver patio w/ lights & ceiling fan, walkway and smokeless firepit . New 8x12 metal lofted shed & vinyl privacy fence make for a park like setting. Tucked away in Sleepy Lake. Established community w/ large lake. Close to interstate, shopping, and restaurants. Do not miss this one!